A morsel is a tasty bite of something...teasing you to try more or to say "no thanks" but it gives you an idea of what it's all about. I have a backlog of books to review and the task is overwhelming what with homework, drama camps, and all the other fun things of summer getting in the way I thought this would be a perfect way to share the last four books I've read. Tasty morsels-all delicious in their own way! They are in order as to how I read them not by my enjoyment level. I read this one on the beach-my first Elin Hilderbrand and I enjoyed her writing very much. This is a quick read about Claire, a young married woman, trying to keep it altogether on the Island of Nantucket. She has a nice home, a handsome husband and several terrific kids. She is asked to cochair an annual charity event which puts her in constant contact with the wealthy Lock Dixon and they have an heated affair. I liked Claire and her friend and sister-in-law, Siobhan, a caterer with her own marital problems. I enjoyed the back story of Claire's life before she married Jason, which comes up as her first love, Matthew Westfield, is a huge rock star and has agreed to come back and play the Gala to help Claire out. Claire is an artist-a glass blower-and that was a very intricate part of the story and was interesting to learn about the delicacy of her art. I now have more Hildebrand on my to-read shelf! 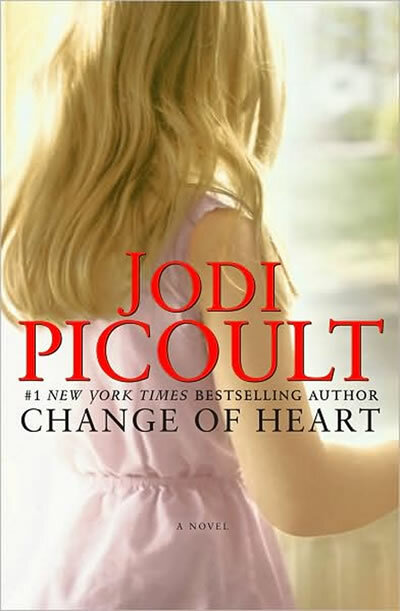 My dear friend Jess in Little Rock introduced my to Picoult a few years ago and I've enjoyed most of her collection. This one is about a mother, June, whose husband dies unexpectantly leaving her alone with their young daughter, Elizabeth. June later marries Kurt, the police officer, who helped her out of the car wreck that killed her husband. And one day 5 years into the future June and Kurt are expecting a second daughter when Shay Bourne arrives to help them out of a construction mess. Picoult's tales are complex and I'm not going to give you much more but the story is told through alternating voices; June's, Michael's, a young priest, Maggie's, a ACLU lawyer-(my favorite character) and Lucius, a vibrant man with a few regrets. I thought the death penalty issues were well done and the whole mystical idea that Shay Bourne may or may not be Jesus was an interesting concept. This one was predictable though-I could see Kurt's flaw pretty quickly but not a bad read. I loved this little book and sat right on my comfy sofa and read almost the whole thing in one sitting. Cried quite a lot. 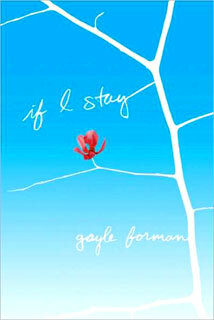 Has some similar themes to Before I Fall without all the mean girl stuff. This one has a cast of characters to love: Mia, her rock and roll family and Adam, the to-die-for-boyfriend. Mia plays the cello and loves classical music contrasting with her father who played drums in a hipster band and her boyfriend who plays in an alternative band. It has lots of musical references and I enjoyed Mia's non-traditional family. This one is really well-written and I could easily read it all over again. Now I need to get my hands on the second one, Where She Went. 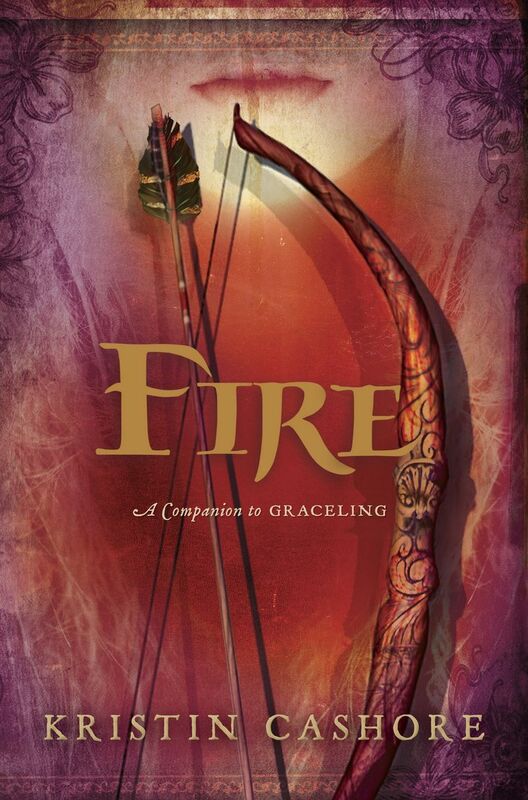 I am pretty darn excited to cross both of Fire and Graceling off my to-read list and I'm liked them both. Fire is about the Seven Kingdoms of which Cashore refers to in Graceling but does not continue Katsa and Poe's story. That was a bit of shock to me but once I got past it I liked Fire just fine. After all it does say "companion to Graceling" not sequel to Graceling. Fire is a vibrant colored monster in the Dells born from a human mother and a monster (and cruel) father, Cansrel. Both parents have died and Fire lives in a small house on the estate of Lord Brocker and his son, Archer. There are some unrest issues in the kingdom and Fire is asked to come to King City to meet with Nash, the king and Brigan, his brother and commander of the king's army. I like the world that Cashore has created. This one was very good. Click on the title to read my review of Graceling. The Smarty Owl has a great full-length review on Fire that is worth reading. I hope your week has been blissful and full of reading!